My discovery of Ladurée, one of Paris’ most well-known luxury pâtisseries, began much like my obsession with macarons themselves – suddenly and inexplicably, but a pleasant surprise. Macarons are simply baked meringues made of almond flour, but the double-decker maracons, invented by Pierre Desfontaines of Ladurée in 1930, feature a creamy ganache centre sandwiched between two delicate meringue shells. Today, Ladurée sells (according to Wiki) 15,000 of these babies a day – given the lineup Kookie and I encountered today (a nice balmy 23C in Paris), that’s not too hard to believe. There are several locations around Paris, though the original one is near Place de Concorde, just off of Rue Saint-Honoré. The one that I always visit, without fail, though, every time I’m in Paris is the Champs Elysée location – it’s the most easily accessible, and I don’t have to make an extra trip to get there (l’Arc de Triomphe is just up two or three blocks). 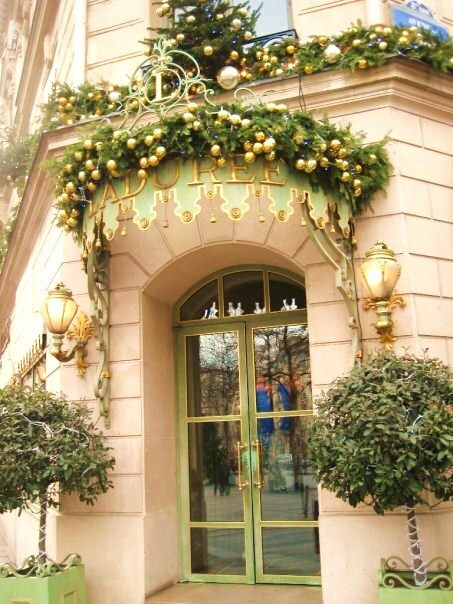 Ladurée sells much more than just macarons; they also do delicious flaky pastries and some gorgeous looking chocolates. 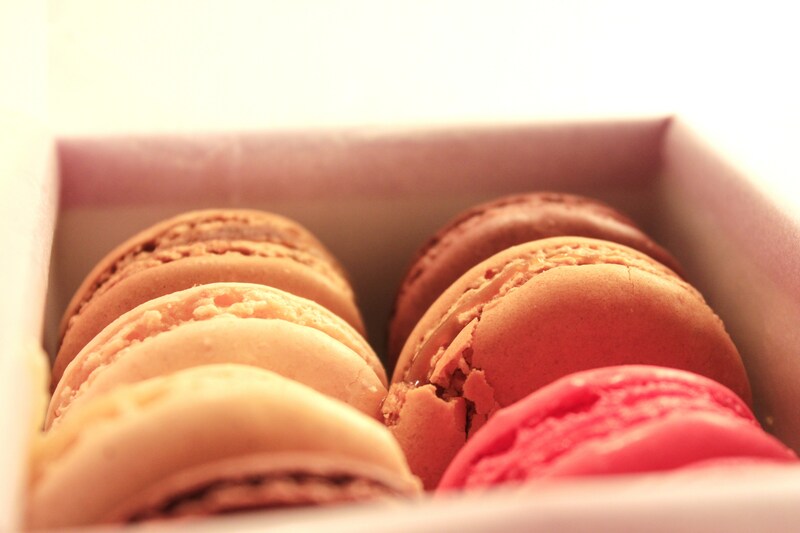 But let’s not kid ourselves – most people are here for the macarons. There is a wide selection of core flavours – vanille, citron, pétales de rose, caramel, pistasche, among others – as well as some few season-specific flavours, such as noix de coco and menthe in the summer, and marrons and praliné in the winter. 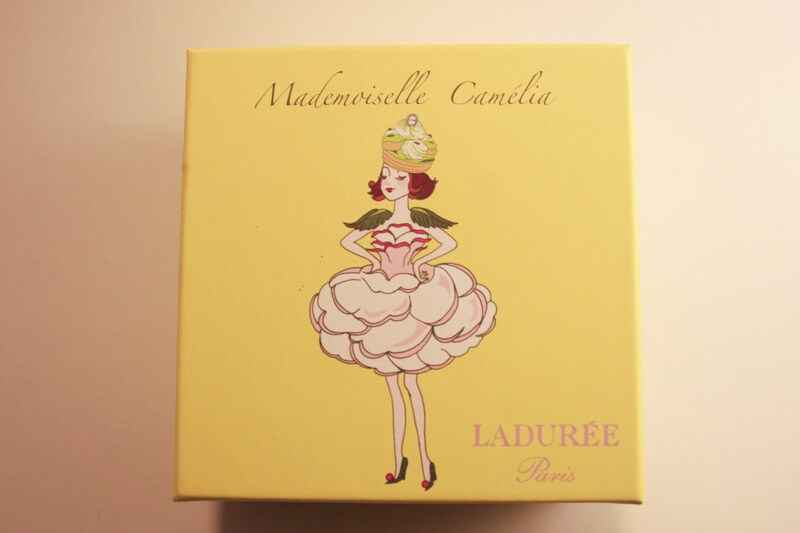 The reason Ladurée is so famous for them (other than the fact that they did indeed invent this style) is that they are fantasically delicious. The texture of the meringue is perfect – a crispy shell with a delicately chewy interior. To feed my macaron addiction, I’ve had macarons the world over, but nothing compares to the first macaron I ever had from Ladurée (vanille, Christmas Day, 2007)…except other flavours from Ladurée. So far, the only other place that comes close is Pierre Hermé, but I find the flavours a bit out-there sometimes (Ladurée is very tranditional). As well as rotating flavours, the gift boxes also change their design every month. This month features several mademoiselles wearing various Ladurée pastries – Camélia here is sporting a Saint-Honoré hat. 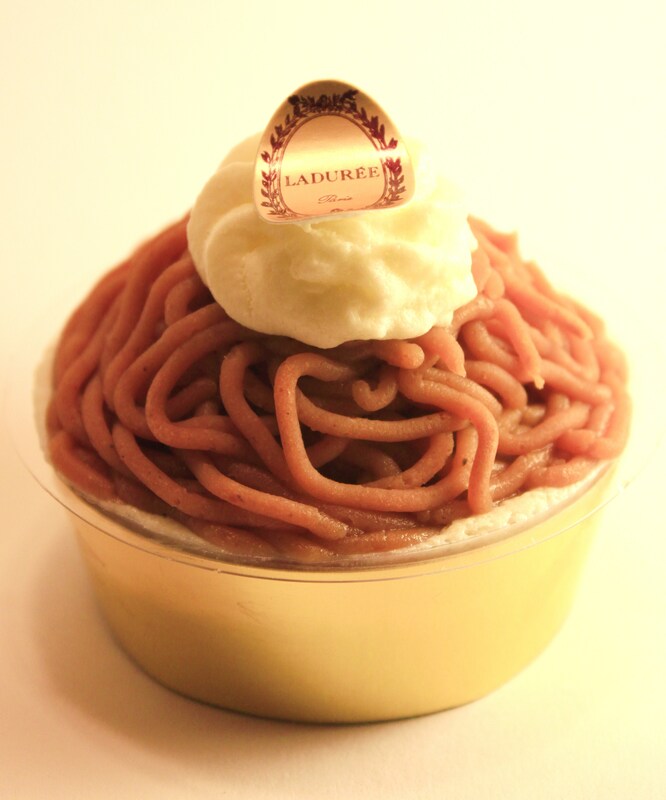 The other thing Ladurée is famous for is its desserts- Saint-Honoré, Religieuses, Divin, Ispahan, and Mont-Blanc. 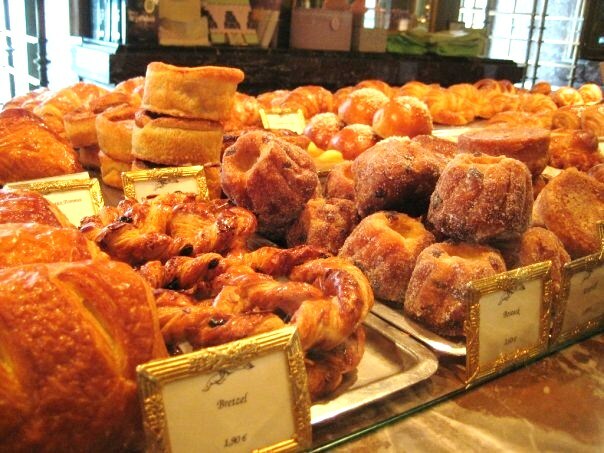 You’re not allowed to take photos inside (of course, I didn’t know that when I took the pastry photo above), but it’s truly amazing to see all their desserts lined up behind the counter. As a treat (ok, an extra treat), I bought a Mont-Blanc to take home (yes, on a 5-hour bus back to Saarbrücken. Somehow, it survived). I have yet to eat it, but I’m sure it will be delicious. 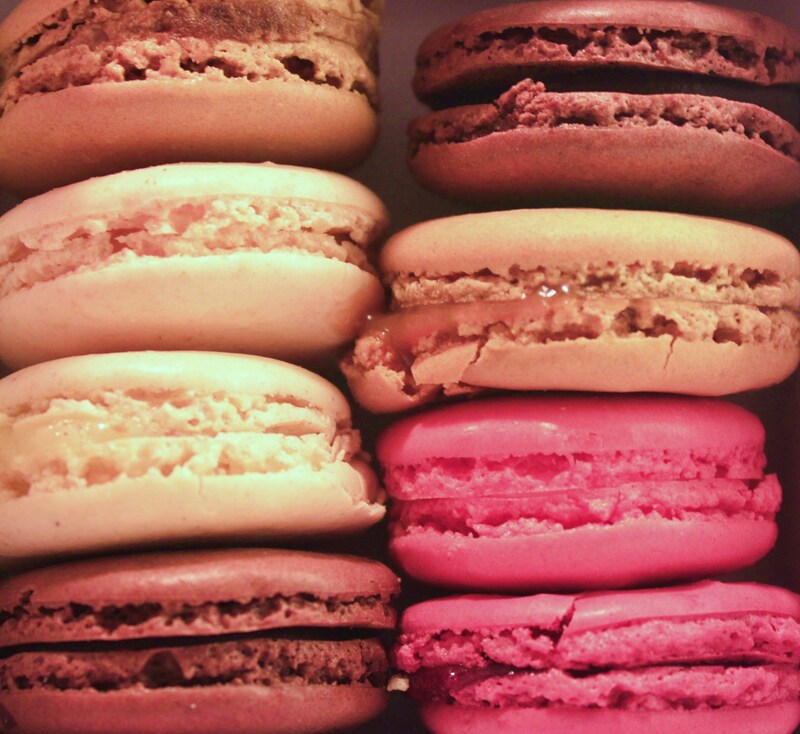 And I guess the next time I’m in Paris, we’ll get a review of Pierre Hermé (I have to try his signature Ispahan)!